TECOFI will be pleased to meet you ! To ensure you the best service, Tecofi will remain open all summer. 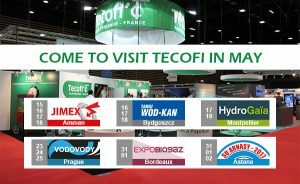 Come to visit Tecofi in May! May is a busy month for Tecofi! 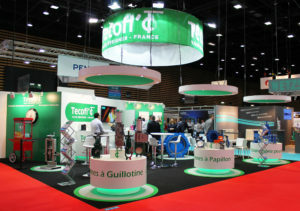 This week we will be in Jordan for JIMEX exhibition, in Poland for WOD-KAN and in France for Hydrogaïa! Next week you can meet us in Prague during Vodovody fair, in Bordeaux (France) for ExpoBiogaz and finaly in Kazakhstan for Su Arnasy. 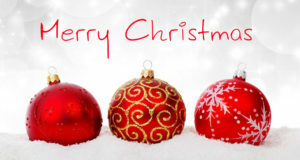 Come visit us! We are waiting for you in numbers at the Tecofi’s stand (n°306, hall 4.2) at the Wasser Berlin fair from the 28th to the 31st March 2017 to discover our new products ! 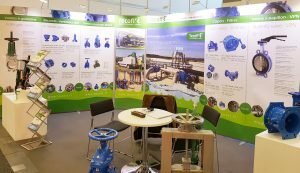 Tecofi will participate at the Vietwater exhibition on the 9th to the 11th of november 2016 in Ho Chi Minh, Vietnam. You can meet us at the P28B booth. Tecofi will be pleased to meet you in Dubaï for the Big 5 Show fair, from the 21st to the 24th of november 2016. Find us on the 2F60 booth of the MEP services hall. We will be in Düsseldorf (Germany) from the 29th of november to the 1st of december 2016 for the Valve Word exhibition. Visit us at the 5H34 booth, hall 5.